DP World reported a fall of 4.6 percent in fourth-quarter shipping container volumes in Dubai that the government-controlled port operator blamed on a drop in low-margin business. 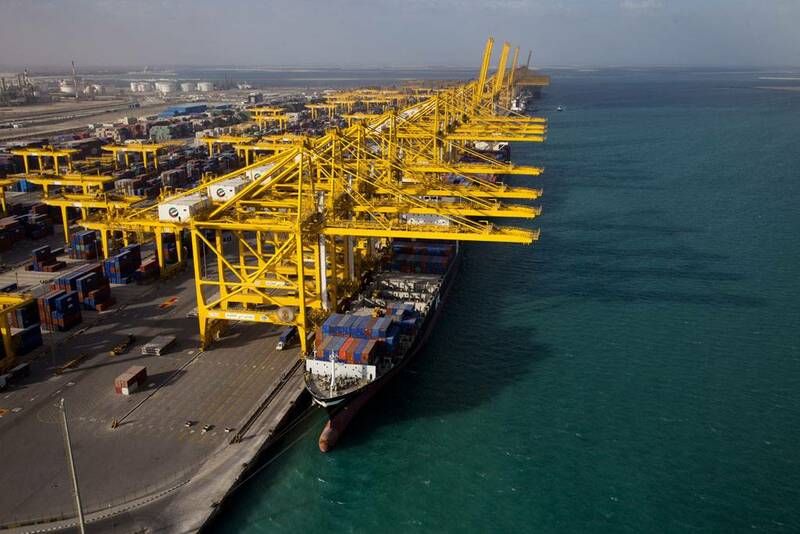 Dubai's Jebel Ali, the largest transshipment port in the United Arab Emirates, and Mina Rashid port account for about 20 percent of DP World's global volumes. The two ports handled 3.6 million 20-foot equivalent units in the three months to Dec. 31, compared to 3.8 million in the same 2017 period, DP World said in a statement. Dubai container volumes also fell in the third quarter. "In the UAE, the softer volumes were due to the loss of low-margin throughput, where we remain focused on high-margin cargo and maintaining profitability," DP World Chairman Sultan Ahmed bin Sulayem said. DP World is one of the world's largest port operators. Bin Sulayem said on Sunday it expected 2019 to be challenging, citing trade tensions between the Untied States and China. Dubai shipping container volumes fell 2.7 percent to 15 million TEUs in 2018, DP World said. Individual container volumes for Jebel Ali Port or Mina Rashid were not disclosed.